Today was the first day of our optional “Mile 0” option. 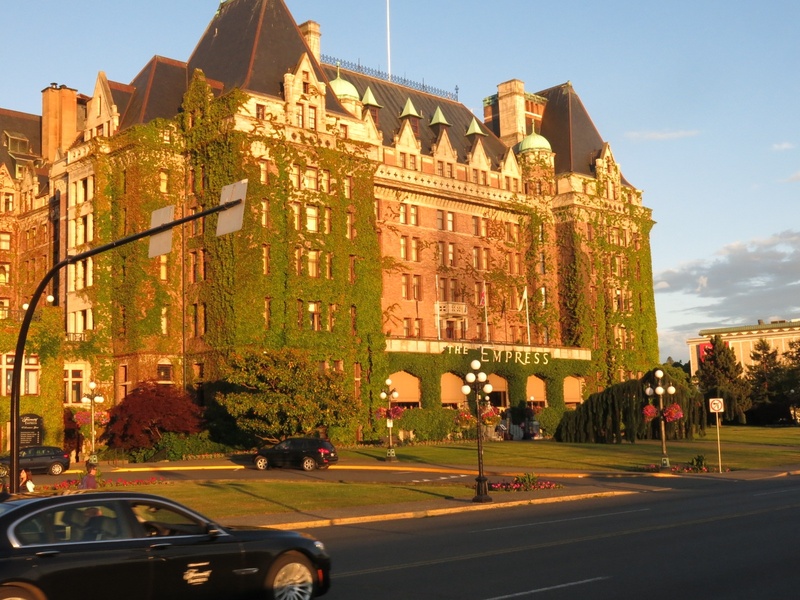 We will ride to Victoria today, stay overnight, and assemble at Mile 0 of the Trans Canada Highway in the morning before returning to Vancouver. With rain threatening, we assembled at 9:00 am for a quick briefing and then we were off. 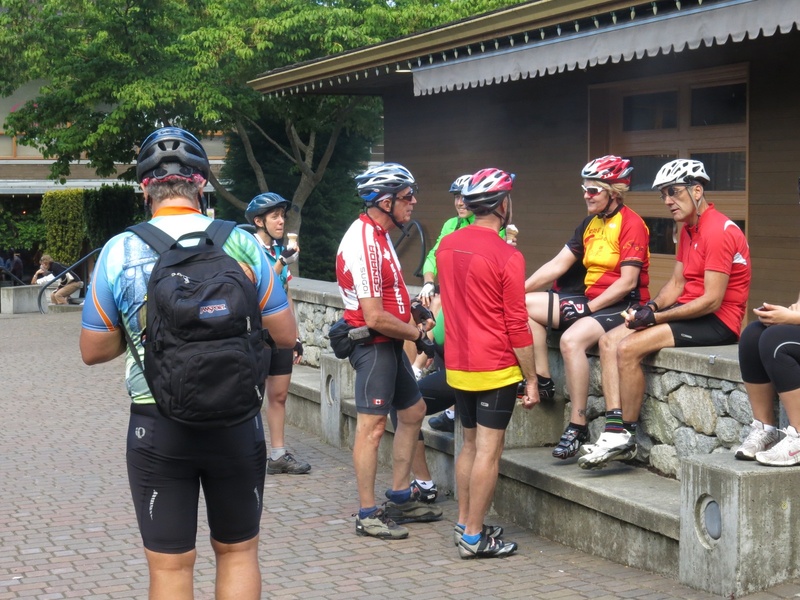 About half of our TdC group elected to do this optional start to our cross country ride. The chance of showers turned out to be an idle threat as after a few drops the sky cleared and we had a beautiful ride to the ferry. 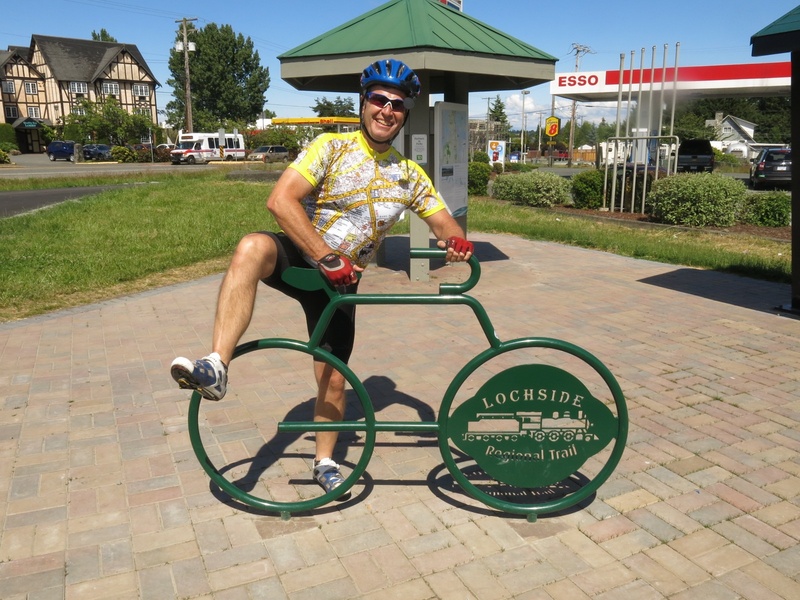 For the most part our route kept us off of major highways as we cycled through Richmond and Ladner on the way to the ferry. We had to stop briefly enroute to wait for the bike shuttle to take us through the Massey tunnel. We arrived in time to catch the noon ferry which got us into Shwartz Bay by 1:30. Travelling mainly on a trail network we made our way towards downtown. 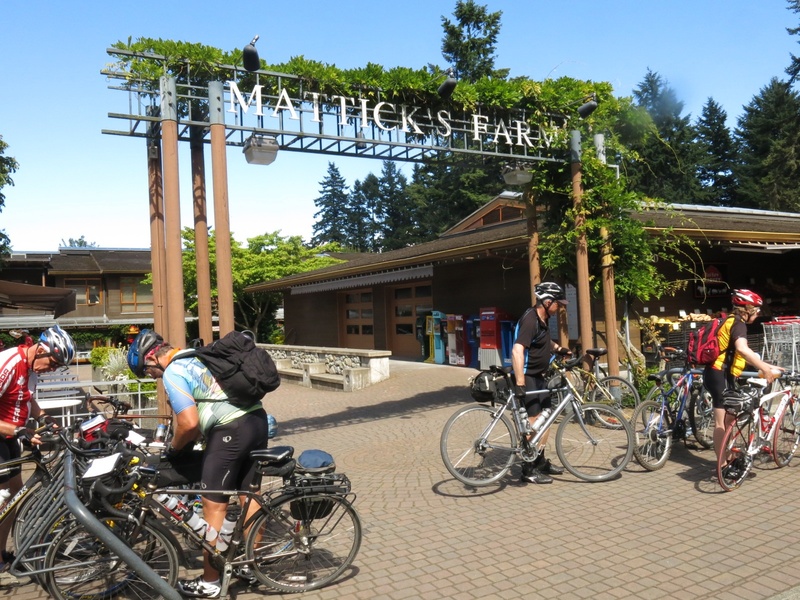 We did make one very important stop at Mattick’s Farm for ice cream! By late afternoon we arrived at and got checked into the Victoria Hostel. Staying in a hostel was a whole new experience for me and overall it went very well. Dinner was at Don Mee’s, a landmark Victoria Chinese restaurant. Dinner was great! 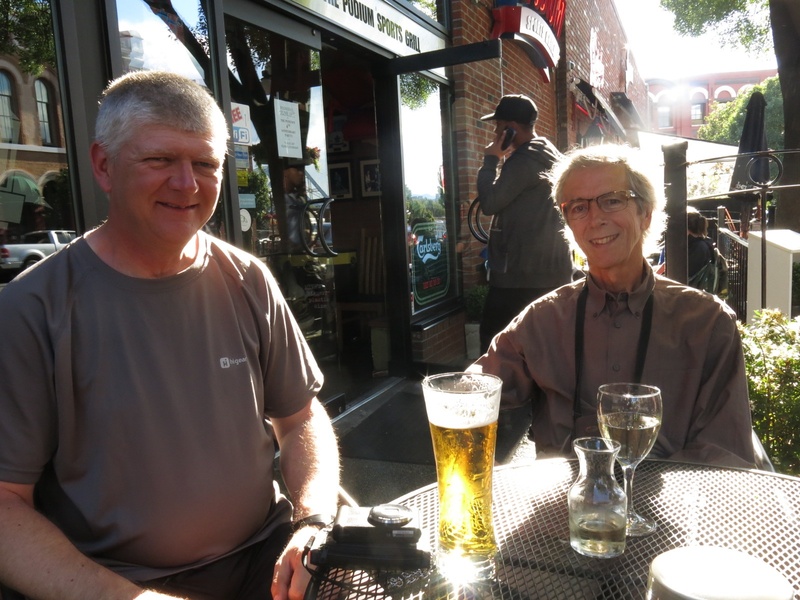 The highlight of the day was meeting up with my friend John who had first told me about Tour du Canada. John drove down from Parksville, joined us for dinner and stayed at the hostel. 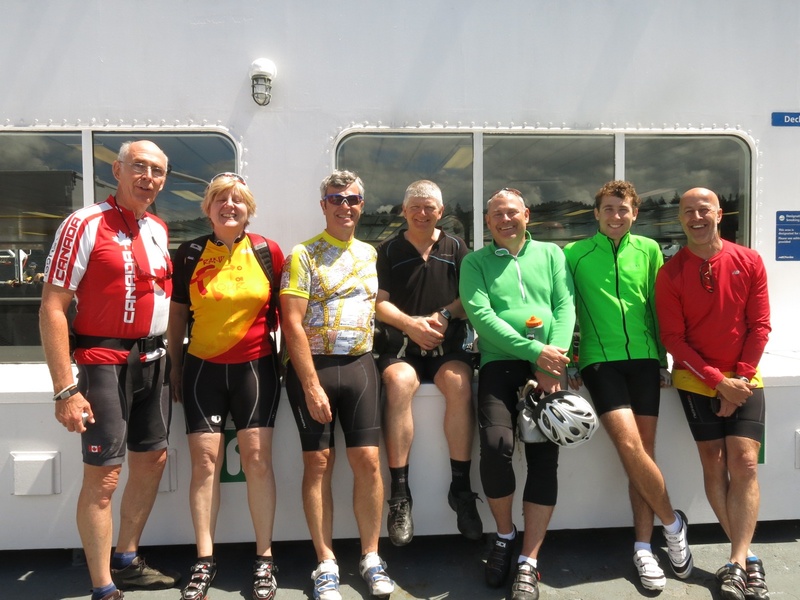 John very quickly fit in with the group and regaled us with his stories and observations on TdC. There are two observations I would make after my first day of riding with the TdC 2013 group. The first was that this is a great bunch of people! If the other half of the group, most of whom I haven’t met yet, are half as much fun this is going to be an amazing summer. The second observation came as we were riding along and while taking the ferry, in particular as we went through Active Pass. Many in the group are visiting this part of Canada for the first time. The delight they took in the scenery, much of which I had seen many times over the years, was infectious and at times I felt like I was experiencing it for the first time all over again. I know I will share this delight daily as we cross this country. I don’t think you would get this same experience if you weren’t travelling as part of a group.